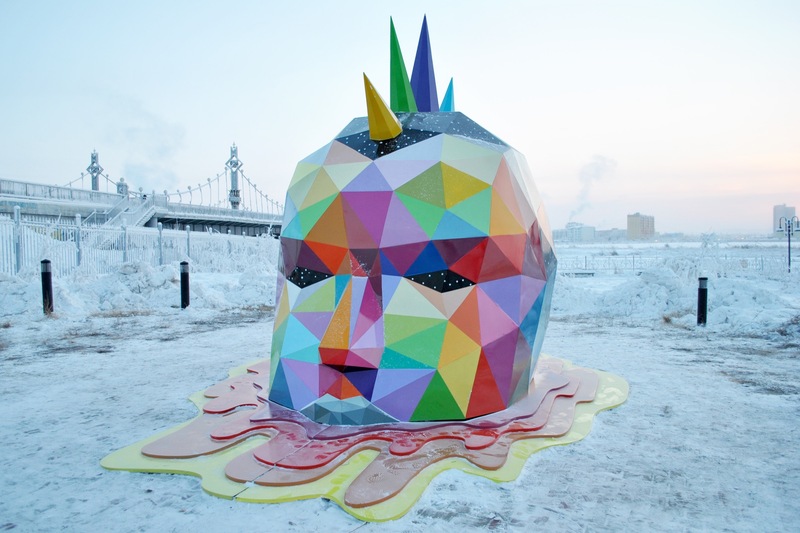 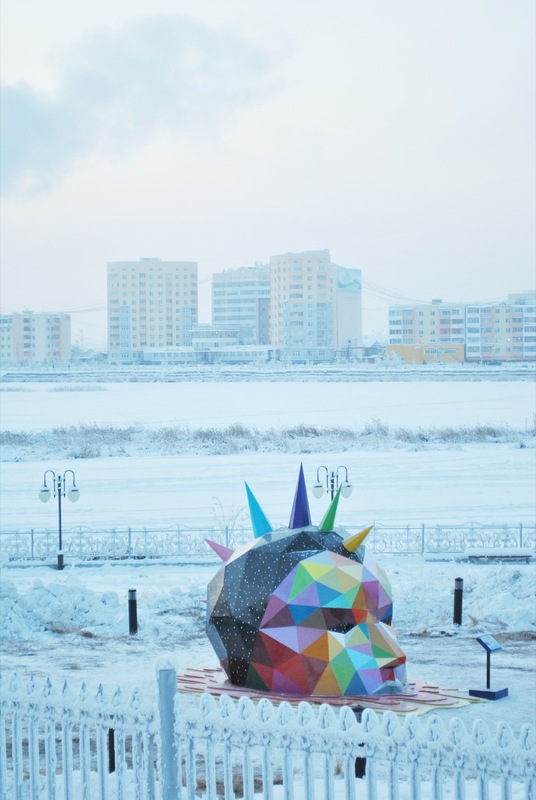 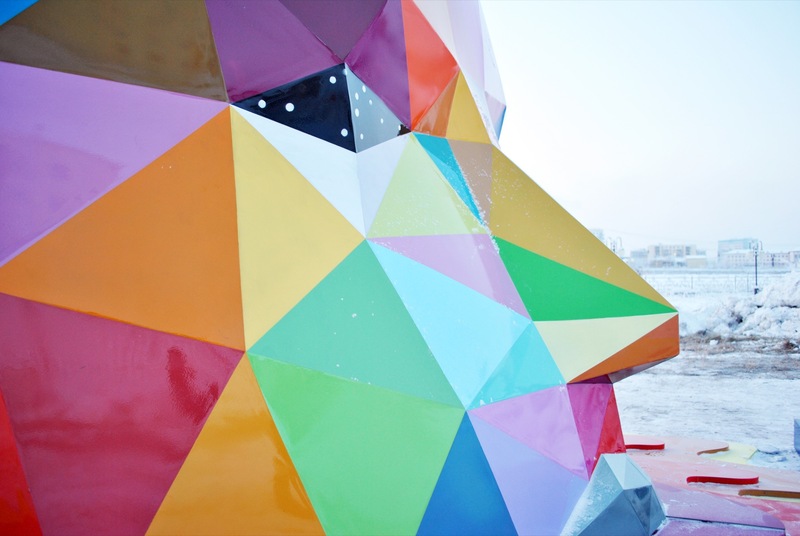 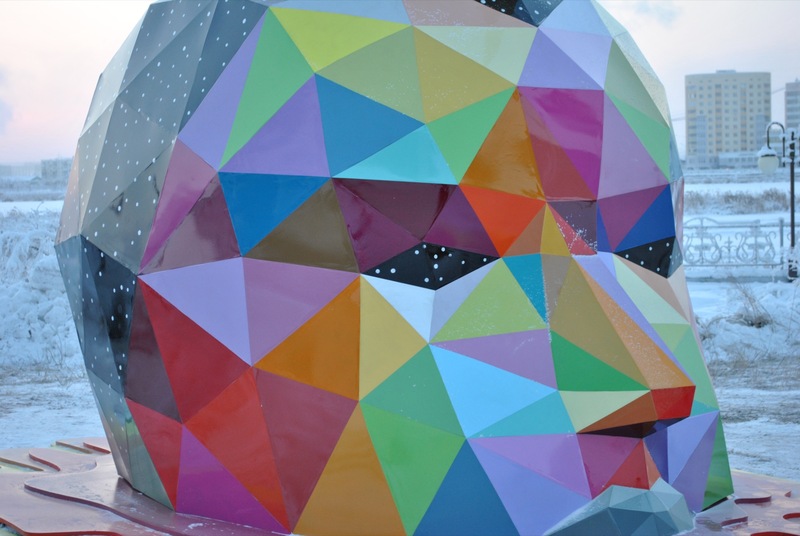 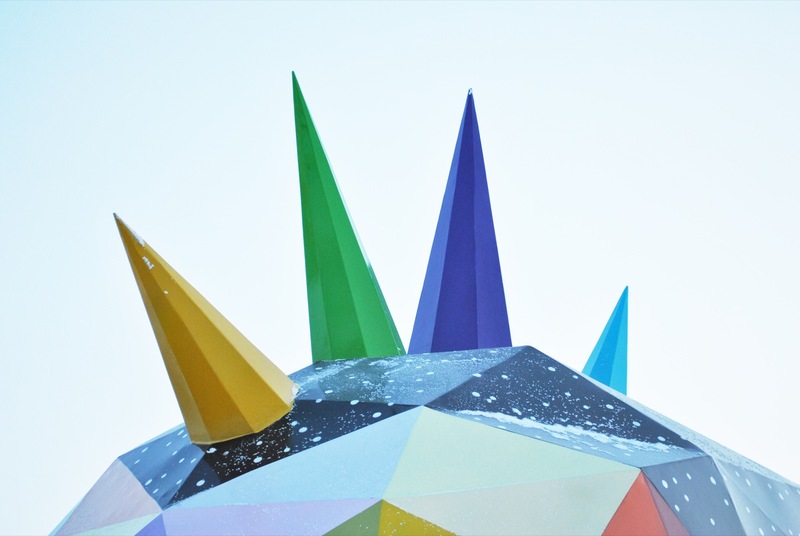 As part of the project, curated by the National Art Museum of the Republic of Sakha, the northernmost sculpture of the famous Spanish street artist Okuda San Miguel was installed on the embankment of Sajsary Lake in Yakutsk, complementing the urban improvement program. 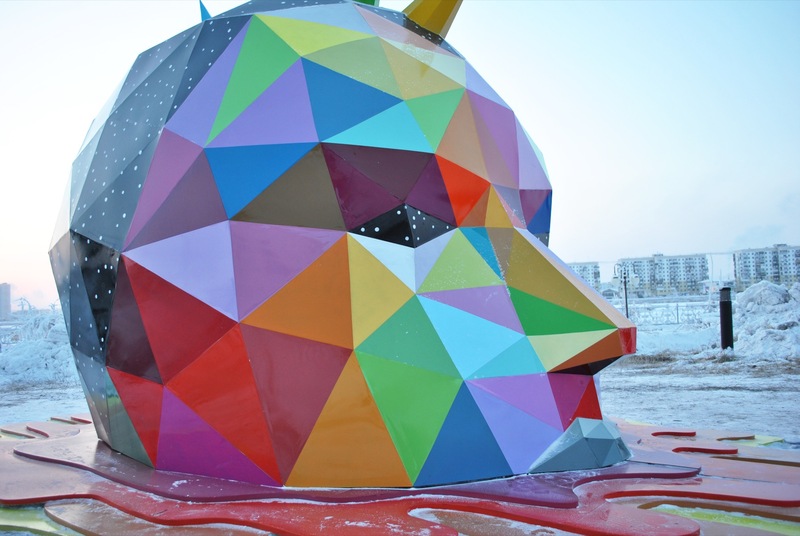 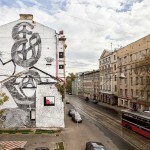 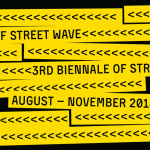 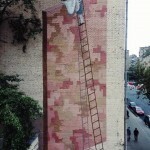 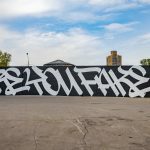 The artwork made as part of the public art program 5th International Contemporary Art Biennale in Yakutsk BY-18, curated by ARTMOSSPHERE union, the creators of the eponymous Street Art Wave Biennale in Moscow. 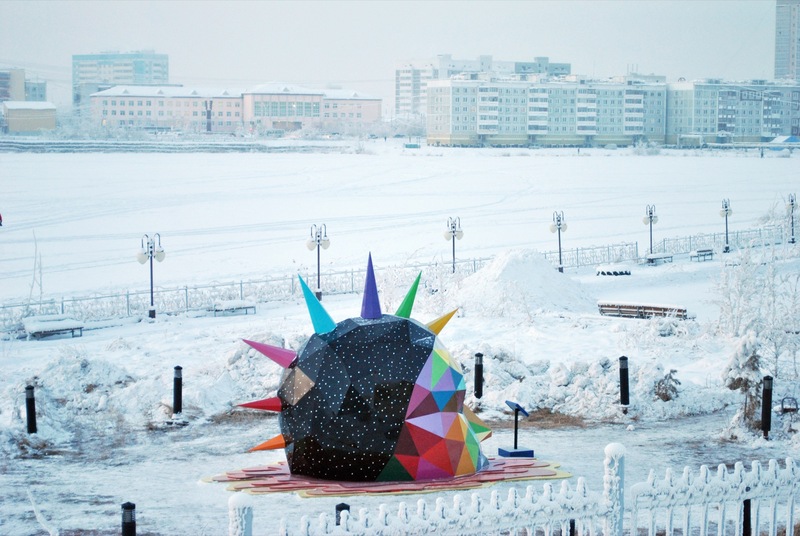 This is the 8 public art object that finishes the program of the Yakut Biennale of Contemporary Art. 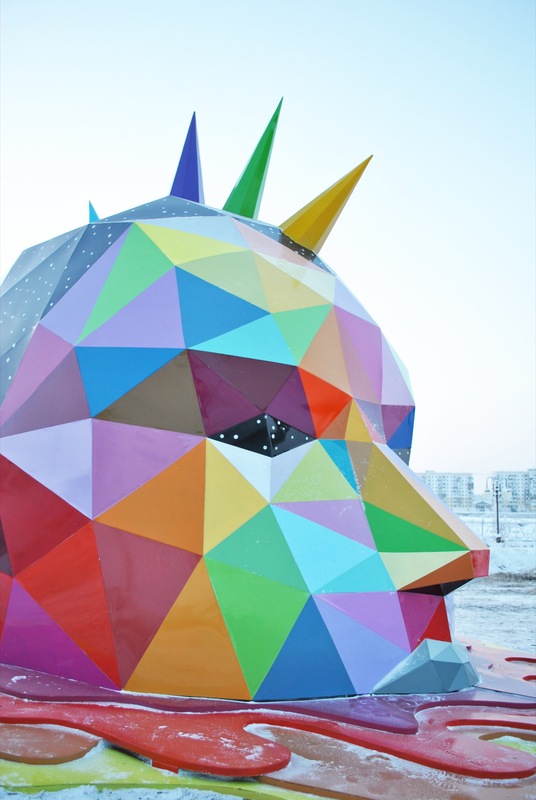 The artist’s works can be found in Moscow, New York, Tokyo, London, Berlin, Paris, and now in Yakutsk: the 4-meter public art object Ancestral Retromirage, cast from steel with sharp spikes and the artist’s signature geometric style in the rainbow gamut was installed in the city, standing on the permafrost. 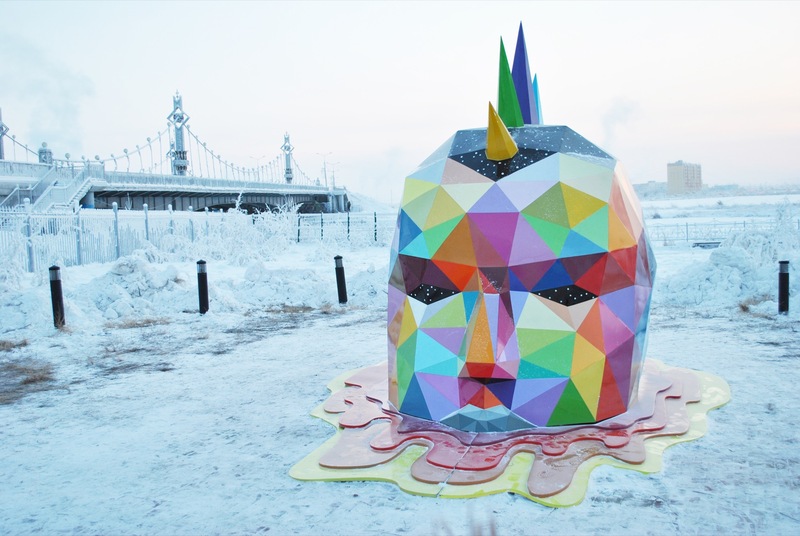 Inspired by Yakut mythology, the Spanish artist turned to the topic of spirituality, reflecting on the fact that the nature of modern man hides the original instincts. 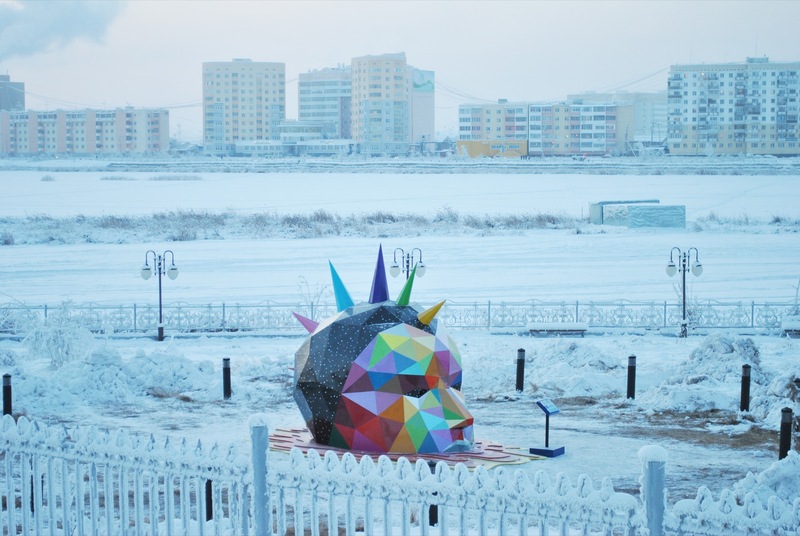 Creating a project for the capital of Yakutia, where the power of the elements is strong, he decided to portray the primitive Man without the shackles of civilization, acting as a whole and free person.